My husband and I took a “staycation” this year and were very pleasantly surprised at how much fun we had. There is so much to be thankful for, living where we do on Long Island, and often, because it is all so close to home, we take it for granted. 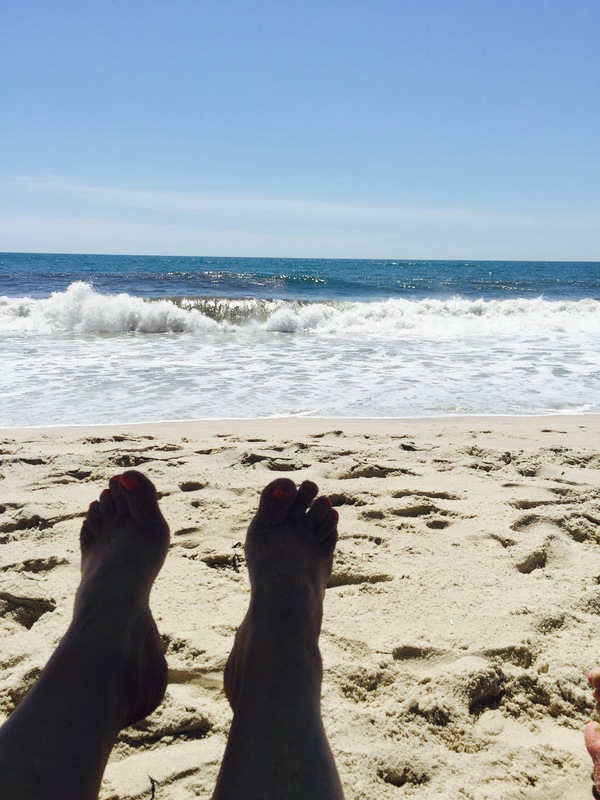 We have some of the best beaches in the entire country just a few minutes from home: Robert Moses State Park, Town of Babylon’s Overlook and Cedar Beach and other smaller town beaches like Tanner Park and Venetian Shores. The view from the Robert Moses causeway bridge is spectacular – deep blue bay and ocean waters and bright green beach grass as far as the eye can see. 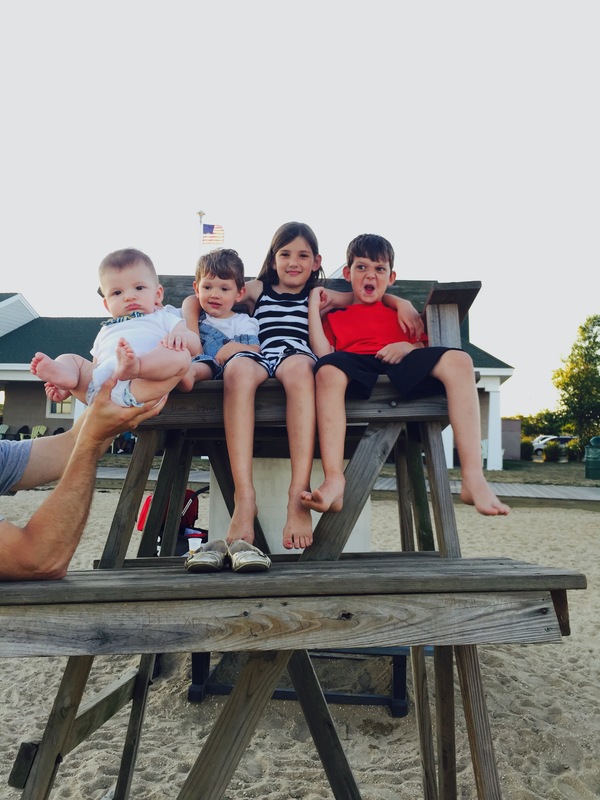 August 1, 2015: Our first day at the beach this summer. Finally! We heard music on the beach one evening at Tanner Park while the grandkids ran around in the cool evening sands, ice cream dripping down their arms. 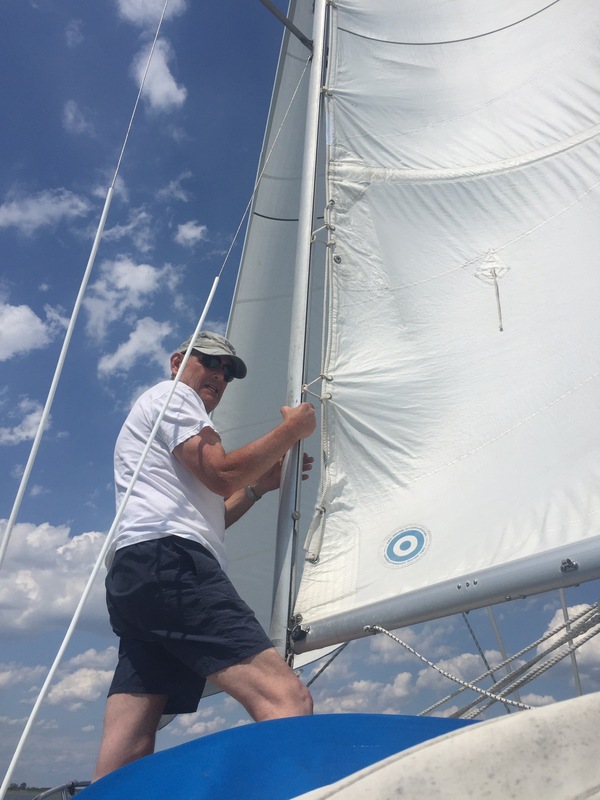 We went sailing with a brisk north wind that pushed us to the beach. In the afternoon, the wind shifted to the south and carried us home. We had dinners out most nights from our neighborhood restaurants. My favorite fish dinners are not at a fancy restaurant, but from our local Peter’s Bay Village Diner at 236 Broadway in Amityville. “Of course!” the owner told me. “I get the fish fresh – every day!” It’s great to have a local place to eat, where people greet you with a smile and that small town familiarity. Sometimes it’s wonderful to stay in your own backyard and avoid the crowds and the traffic, the flight delays, pat down security checks, the hassles of packing and uncomfortable hotel beds. Sometimes, we have to open our eyes and see our old familiar neighborhood like we’re looking at it for the first time. I often think – we’re so lucky to live where we do. People pay lots of money to travel to a vacation spot like this, with beaches and restaurants, live music, outdoor theater, boardwalks and ocean views – all within a 15-30 minute ride by car. Dorothy was right. There’s no place like home – even when you’re on vacation. 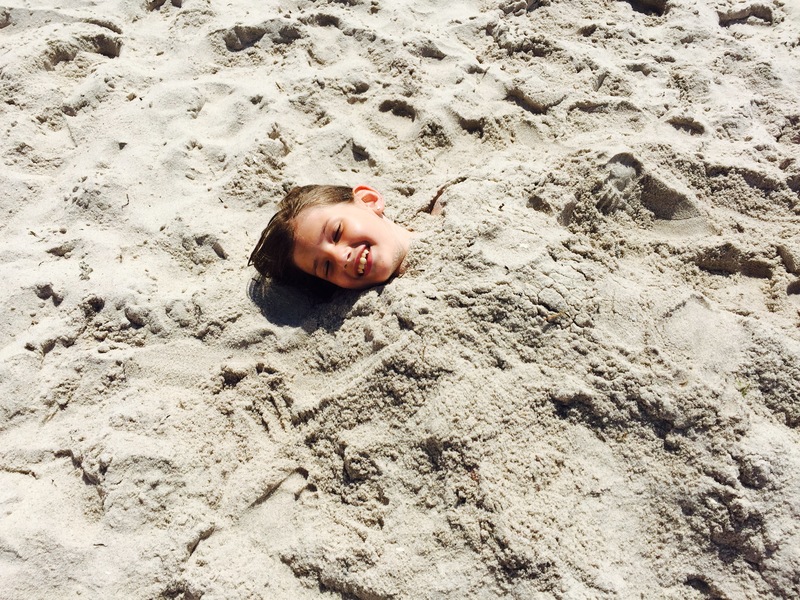 This entry was posted in Uncategorized and tagged Amityville, ocean, Robert Moses State Park, sailing, Staycation, Vacation. Bookmark the permalink. So true! Great day yesterday. Yes! All the things I love about summer rolled into one day. A feel good piece that makes us aware of the great opportunities we have for beauty right around us.